2018-09-13 - Shelbyville, KY - Photo by Innocent Bystander. 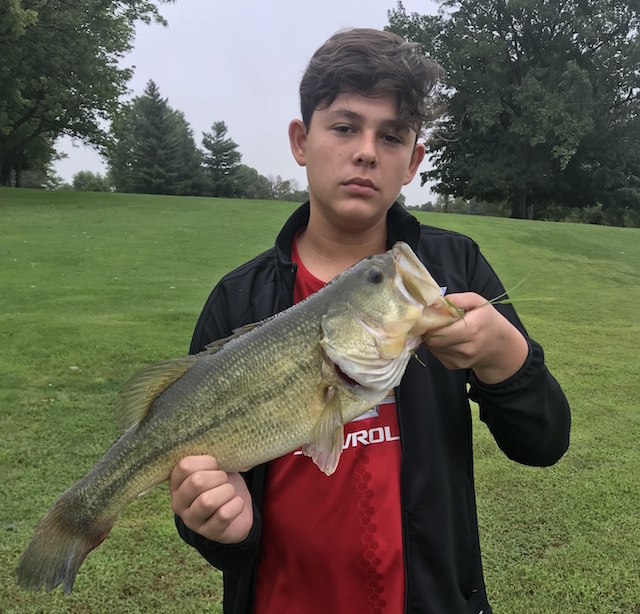 Evan Waggener says he snagged this new personal best largemouth at the local country club pond, "on a white buzzbait." The fish weighed a little over 6 pounds, even after scales were used to offically check.